Samford Commons is emerging as a world class, innovative and exciting showcase for sustainable living, learning working and playing. It will use leading-edge technology, creative educational strategies and innovative approaches to engaging communities and businesses on-site and on-line. Samford Commons aspires to be a practical, dynamic example of sustainability principles in action. The Commons’ approach to sustainability living, learning, working and playing will include a large range of hands-on activities, experiences with virtual media, street art and theatre, low-energy-use workplaces, alternative energy exhibition, sustainable industry displays, co-working sustainability businesses, permaculture gardening, sustainable urban farming in practice and sustainability education programs. 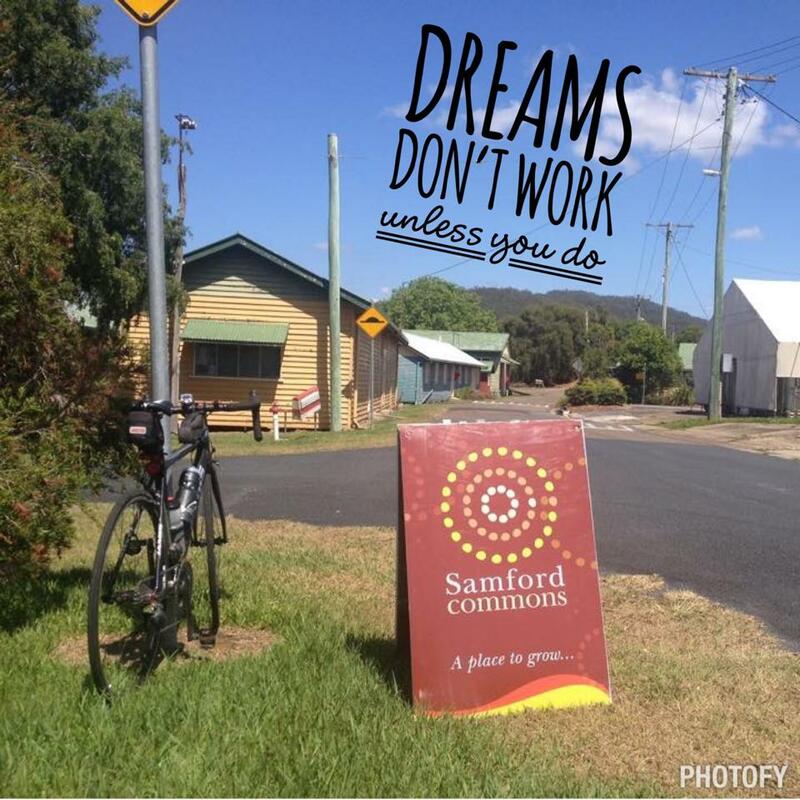 Samford Commons Ltd is a not-for-profit, community-owned charitable company and works through signed partnerships with sustainable private sector companies, local entities, government agencies, community organisations and networks. The catalyst for the establishment of Samford Commons was the insights of the large number of people engaged with the Samford Futures process. These community conversations explored what became a compelling need to more fully utilise the potential of the former CSIRO Research Station site. This vision complements the Master Plan designed earlier by the Moreton Bay Regional Council in consultation with the community. The community’s ideas acknowledged the need to build a more sustainable local community. Those ideas encouraged the notion that for the development of a sustainable local community there is a need for increased awareness, knowledge and skills regarding practical action. It is understood that a variety of approaches is required to provide a high quality “hands-on” and virtual experience. The overall viability of Samford Commons is dependent on the endorsement, engagement and financial support of the local community, the three tiers of government, selected private sector companies and community agencies. Such practical support will enable people from all walks of life, regardless of financial means, to access Samford Commons. There is a strong partnership being formed at a community level as people and organisations realise the potential of Samford Commons and the power of collective action for shared benefits. Sporting clubs, service organisations and community groups are enthusiastic about their potential involvement. Schools, professional organisations and tertiary institutions are involved in discussions leading toward strong collaborative effort in learning, research and the creation of new and sustainable ways of doing things.